Personal Details: Ernest Lionel Shaw Cutts was born in May 1893 to parents Charles Edward and Florence Edith Cutts in Parkside, South Australia. He attended Goodwood Public School and was a warehouseman by trade. He had served for 3 years in the Senior Cadets and achieved the rank of Lieutenant, and also served for 9 months in the Militia Forces. He was 5’7” tall with a fair complexion, hazel eyes and brown hair. He was a member of the Church of Christ. Enlistment Details: Ernest enlisted on the 12th July 1915 and was assigned to the 32nd Battalion and was sent to NCO School on the 16th July 1915. He was transferred to the 32nd Battalion on the 16th August and promoted to Sergeant on the 25th of that month. Details about his role in War: Ernest left from Adelaide aboard the “Geelong” on the 18th November 1915 with the original members of the 32nd Battalion. He was one of the NCO’s of “A Company”. The battalion arrived in Suez on the 18th December. The battalion remained in Egypt and continued to train when not on duty on the Suez Canal. While in Egypt Ernest was charged with not having his kit laid out in the correct manner and was admonished. The battalion left Egypt aboard the “Transylvania” on the 17th June arriving in Marseilles on the 23rd. They then travelled by train to the north of France where the battalion was put onto the line in the Fromelles region. On the 19th July the 32nd battalion was involved in the infamous “Battle of Fromelles”. Ernest was fortunate not to be among those killed but did receive shrapnel wounds to the back and shoulders. He was taken to the 1st Australian General Hospital at Wimereux, before being transferred to England. He spent time in a number of hospitals before recovering sufficiently to be granted furlough on the 6th November. He returned to duty on the 21st going to Hurdcott for further training. He was made Commanding Sergeant and was sent to the Kandahar School of Instruction on the 18th June 1917. On the 1st December he was promoted to 2nd Lieutenant and was sent back to France on the 18th. He was taken on strength by the battalion on the 23rd. On the 22nd January 1918, Ernest was sent to Bombing School returning on the 8th February. On the 24th February he was sent to the 10th Corps Infantry School, returning on the 28th April. On the 25th May while on patrol near Vaux-sur-Somme with a gunshot wound penetrating both legs, the muscles behind one knee being torn out completely. 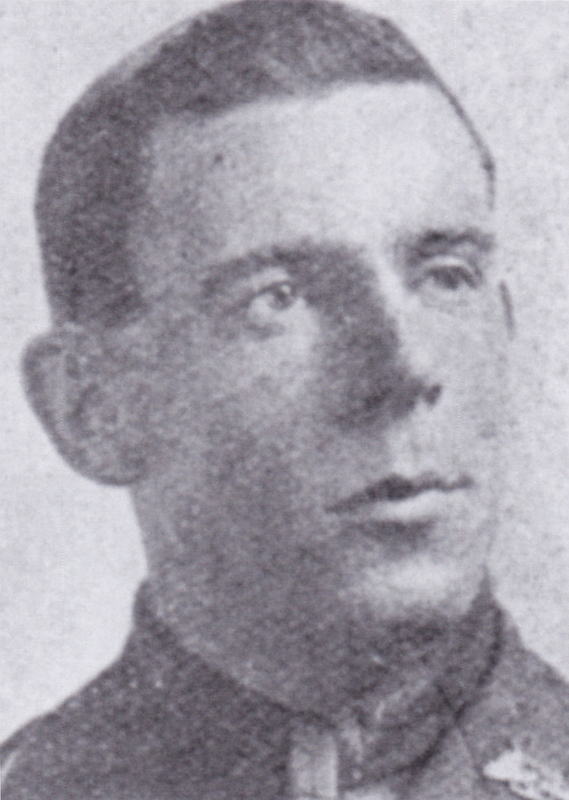 He was evacuated immediately to the 5th Casualty Clearing Station and died there of his wounds on the 3rd June. He was buried the following day at Crouy British Military Cemetery. Memorial Details: Crouy British Cemetery, Crouy-Sur-Somme, France: Grave III. A. 8.